I lead 2-4 trips to Israel each year and for the last few years have worked with Craig Dunning and Discipleship Travel LLC for all my church trips. Craig has been a delight to deal with. He responds quickly to my questions and provides great advice. We share a love for Christ and for the land of Israel. I would highly recommend Discipleship Travel LLC to you for your Israel trip planning. 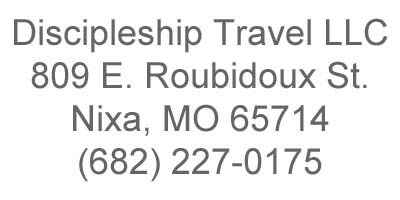 Discipleship Travel LLC is a company you can trust if you are planning a group trip soon. For my group trips, Craig has given special attention to details, is courteous and professional in his quick responses, and made sure all areas of our group trip were well managed. A professional who knows travel helps, insurance requirements, and group needs, you can rest assured that he will take care of your group. I highly recommend Craig Dunning and Discipleship Travel LLC for your next trip! Long, detailed international trips can be intimidating and scary. That is why it is so nice to work with Discipleship Travel LLC. Every detail, every question, and every concern was handled with patience, care, and knowledge. 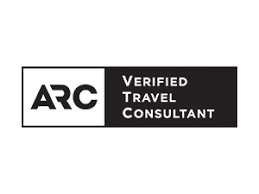 They have the experience, the knowledge, and the connections to make your trip a safe, successful and powerful experience. It has been a joy to experience in person and I heartily recommend them to you. Word’s alone cannot describe the impact my trip to Israel has had on my life and my ministry. Walking where Christ walked has made the Bible come more alive to me. It has helped me to preach with greater clarity and more passion. I recommend Craig Dunning and Discipleship Travel LLC to lead your next trip to Israel. Craig’s knowledge of Israel was so impressive. I was amazed at how he was able to take the scriptures and make the Bible come to life at each place we visited. To be able to walk where Jesus walked was overwhelming. The hotels were very nice, the buses were very clean and comfortable and all the restaurants we ate at had very good food. If you ever get a chance to go to Israel with him I could not recommend it enough. Your life will be changed like you could never imagine. Discipleship Travel LLC and Dr. Craig Dunning have provided me with the most professional Holy Land tours I have ever been a part of organizing. The accommodations in Israel are superb and the itineraries are perfectly structured for every group. The food at every hotel is exquisite. These tours are designed with a completely Biblical orientation and you will receive some of the best instruction that follows the Scriptures every step of the way. Discipleship Travel LLC also adds unique and impactful excursions that few tours ever experience. Their Holy Land tours include a Bible based itinerary and an archaeological emphasis that is usually overlooked. Dr. Dunning and his team provide historical, topographical and Biblical insights to the Land of the Bible that few trips can match. For the first time visitor to Israel or the seasoned veteran, a tour with Discipleship Travel LLC will allow you to view the land of Jesus with “New Eyes”! Experience the Holy Land in an amazing way with the trip of a life-time through Discipleship Travel LLC! If you are considering a trip to Israel and searching for a travel agency, you need to look no more. Discipleship Travel LLC and Craig Dunning will provide an inspiring trip with memories that will last a lifetime. Having lived himself in Israel for many years, Craig has superb knowledge not only of the sites of biblical, historical & geographical importance, but also of modern day Israel. When you return home and read your Bible the stories, the locations, the events jump out of the pages. Everything about our trip, the travel arrangements, the accommodations, and meals were outstanding. I highly recommend Discipleship Travel LLC and look forward to going again with them! Our trip to Israel opened our eyes to see what we had only been taught in Scripture. To be able to walk where Jesus and others walked, to be in the places where many of the events of Scripture took place was exciting and eye-opening for us. When possible, I would like to go again. Traveling with Dr. Craig Dunning to Israel was truly a trip of a lifetime. Being in the field where David fought Goliath as the story was read from scripture brought us beyond just a tourist experience. It was amazing to stand along the bank of the Sea of Galilee where Jesus made breakfast for his disciples after the resurrection. Sitting on the steps leading up to the Temple and reading the Psalms of ascent moved us past simple tourism to a moment of personal reflection. Just traveling to the different sites from the Dead Sea to Jericho, Jerusalem, Nazareth and the other places gave perspective you can only get by being there. I highly recommend this trip.